ISOLFLUID is a liquid additive for traditional screeds in sand and cement, and improves every technological feature. 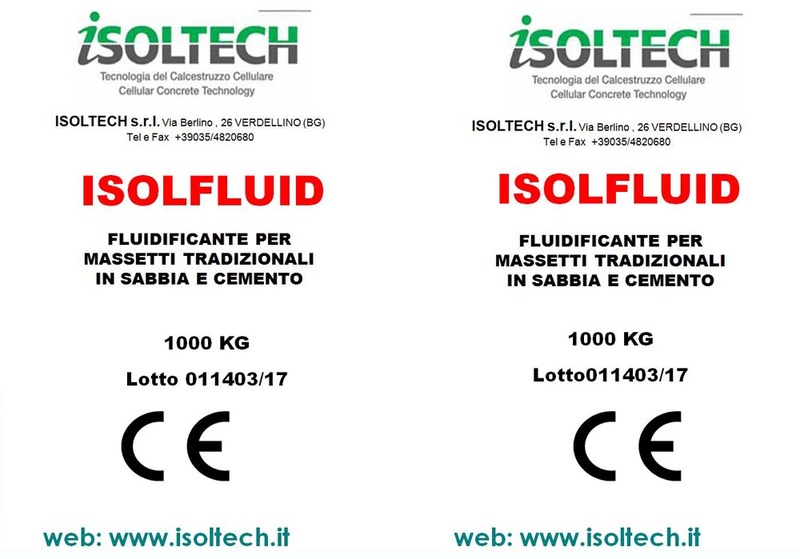 It is a super fluidifying additive specific for high-performance thermal transmittance screeds in sand and cement. – a better water/cement ratio which therefore improves the strength of the screed. – less water = faster drying.